Magoosh LSAT Prep Review: Is Magoosh the LSAT Prep for You? Magoosh LSAT Prep is a satisfactory LSAT course. To help you determine if Magoosh is right for you, I’ll discuss the history, pros and cons, course packages, rating, and ideal candidates for Magoosh. 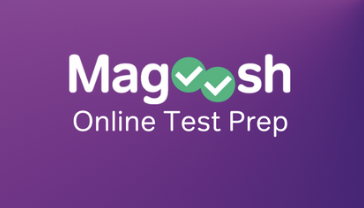 Magoosh is a large test-prep company that offers online instruction for tests ranging from the ACT, MCAT, and obviously, the LSAT. Their LSAT courses are entirely online and are commonly used on mobile devices through their iOS or Android app. That ease of access, combined with the course’s extremely low price, makes Magoosh the most available course that we’ve seen. With that advantage, though, come significant downfalls. Magoosh’s courses do use some official LSAT questions, but Magoosh’s instructors create many of the questions in lessons. That means the practice problems will resemble real LSAT questions, but they will not be the same. While the course does give you access to some real LSAT questions, the instructors will (rightly) encourage you to purchase materials outside of the ones provided to further your studies. Magoosh is a bare-bones LSAT prep course. Based on my experience, I give this course a rating of 3 stars out of 5. While Magoosh is not the best LSAT prep course overall, it may be the perfect option for some students. I would recommend Magoosh for students that are scoring in the 130s and trying to reach the high 140s, and students scoring in the 140s trying to reach the 150s. Magoosh’s lessons and tactics are aimed towards helping students gain a basic understanding of the LSAT, then using that basic understanding to maximize their scores. It is not a course that is trying to build a foundation for higher scores, or a course that will take students into scores in the high 160s or 170s. If you are a student looking for a course to set you on your way to a top-14 law school, Magoosh is not for you. But if you’re a student who’s trying to save money and just needs to break 150 on your LSAT, Magoosh can help.